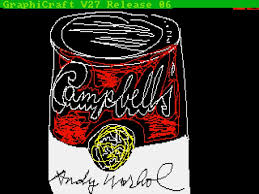 Warhol used the Amiga to create this version of a Campbell’s soup can. 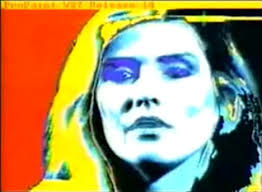 Warhol created his vision of “Venus” with three eyes. 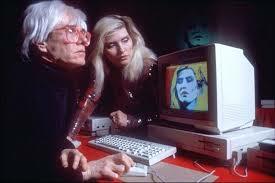 The Commodore Amiga computer, software and other equipment used by Warhol. (CNN) — The soup can looks familiar in an unfamiliar way, but the name at the bottom of the image is unmistakable: Andy Warhol. 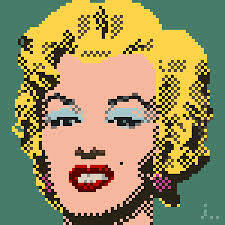 The Andy Warhol Museum announced Thursday the discovery of new works by the pop artist, works which had been trapped on floppy disks for close to 30 years. 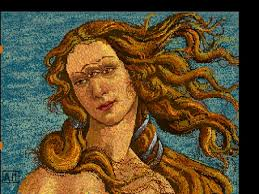 They were made on an Amiga computer in 1985 and were unlocked by the Carnegie Mellon University Computer Club and its Frank-Ratchye STUDIO for Creative Inquiry, according to a statement from the museum. 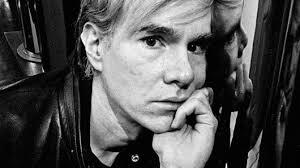 “Warhol saw no limits to his art practice. 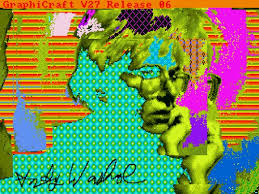 These computer-generated images underscore his spirit of experimentation and his willingness to embrace new media — qualities which, in many ways, defined his practice from the early 1960s onwards,” said Eric Shiner, The Warhol’s director. The works were commissioned by the now-defunct Commodore International to showcase the computer’s capabilities. They include doodles and experiments with Warhol’s iconic images, like the Campbell’s soup can. The works might have been lost forever if it had not been for Cory Arcangel, an artist who watched a YouTube clip showing Warhol promoting the release of the Amiga 1000 in 1985. He started to poke around, eventually approaching the museum’s chief archivist to talk about the possibility of searching for the files amid The Warhol’s archives collection. “In the images, we see a mature artist who had spent about 50 years developing a specific hand-to-eye coordination now suddenly grappling with the bizarre new sensation of a mouse in his palm held several inches from the screen,” said Matt Wrbican, the archivist. The works have since been extracted and backed up so they can be saved, even if the floppy disks fail. “We can only wonder how he would explore and exploit the technologies that are so ubiquitous today,” Wrbican said about Warhol.